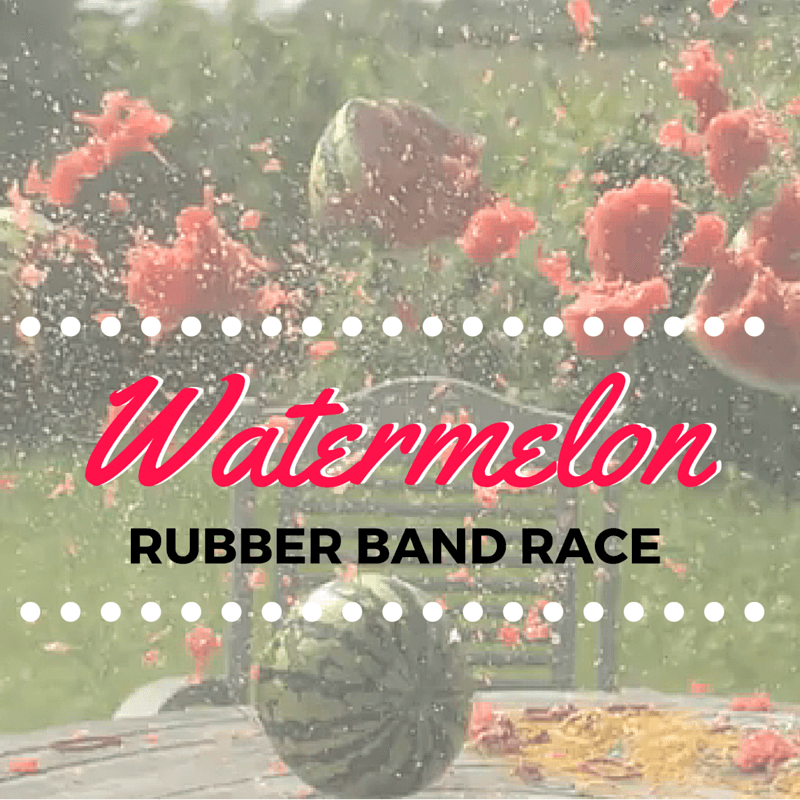 Watermelon Rubber Band Race is taking it’s cue from the recent phenomenon. That’s right, there is a good chance you’ve seen plenty of people playing the watermelon rubber band game in which partners pace a bunch of rubber bands on the watermelon so that it will expolde. It’s a lot of fun and relatively simple, so we thought we’d turn it into a fun relay! Sometimes it’s easiest to just watch an example, so check out the video below from The Slo Mo Guys. It’s really quite simple, find a place that you can make a mess and space teams out a bit so they have room to do their thing. Once everyone is situated, get them their watermelon (try to make them even in size) and a bag of rubber bands, and make sure they are wearing protective eye coverings. When the race begins, have teams place rubber bands on their watermelon. The first team to get theirs to explode is the winner. 1. Have every team work to explode the watermelon. Extra explosions are awesome, and chances are, some explosions will be a bit more epic than others. 2. Take tons of video and do some simple editing to show off your clip on social media. Lay some dramatic or fun music behind it and you’ll have a hit with your entire group and their friends. 3. Award the winning team watermelons. After all, who doesn’t like some fresh watermelon!